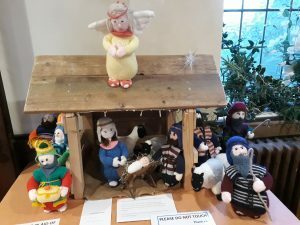 The Crib Festival continues at the United Reformed Church on School Lane, and you are very welcome to pop in and have a look. 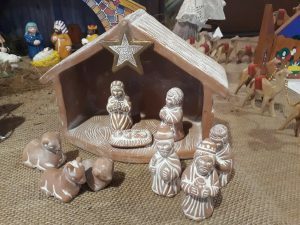 Just walk in to the church between 10.30am and 3.30pm this Saturday and Sunday, and you will be amazed at the astounding number and variety of Nativity scenes that you encounter. 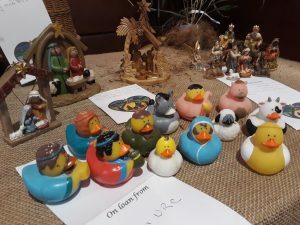 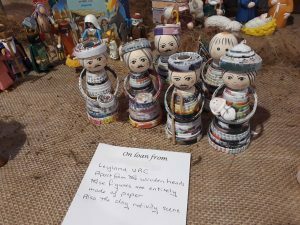 There is everything from large robust creations, through to tiny delicate figures, and the materials used include wood, paper, clay, china, wool, glass, metal and even rubber ducks, to name just a few! 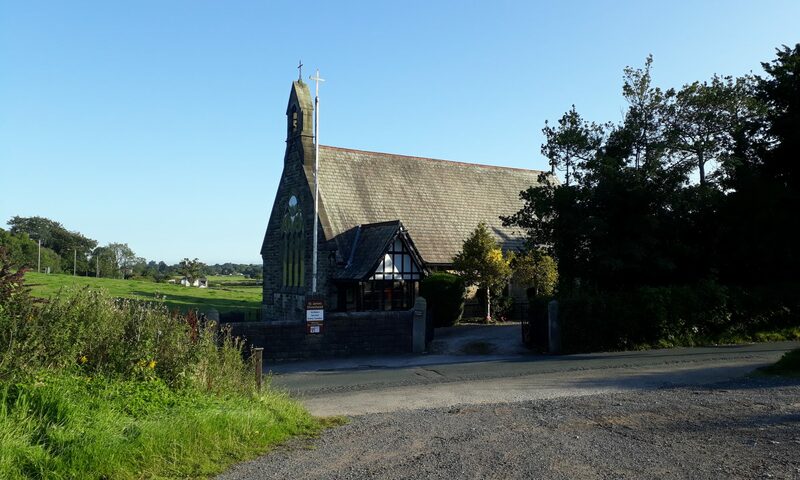 Tea, coffee and cakes are served, so add this lovely event to your “must do” list this weekend. 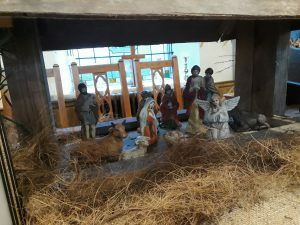 The volunteers at the church have put in a huge amount of effort to create this spectacle, and Nativities have been loaned from churches in the surrounding area. 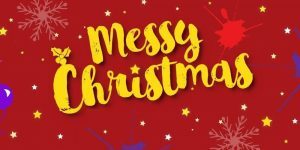 Come and join us this Saturday 1st December, for a Messy Christmas special at Forton Primary School. 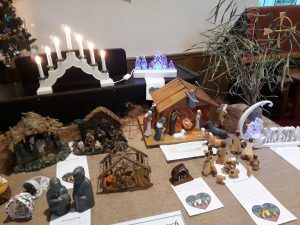 This exciting event takes place at our usual messy church time of 4.00-6.00 pm. 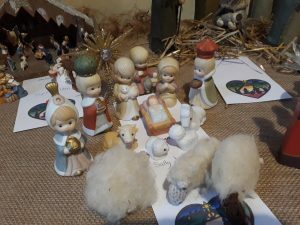 Be prepared for crafts, activities, worship and a lovely meal together, as we celebrate the birth of Jesus! 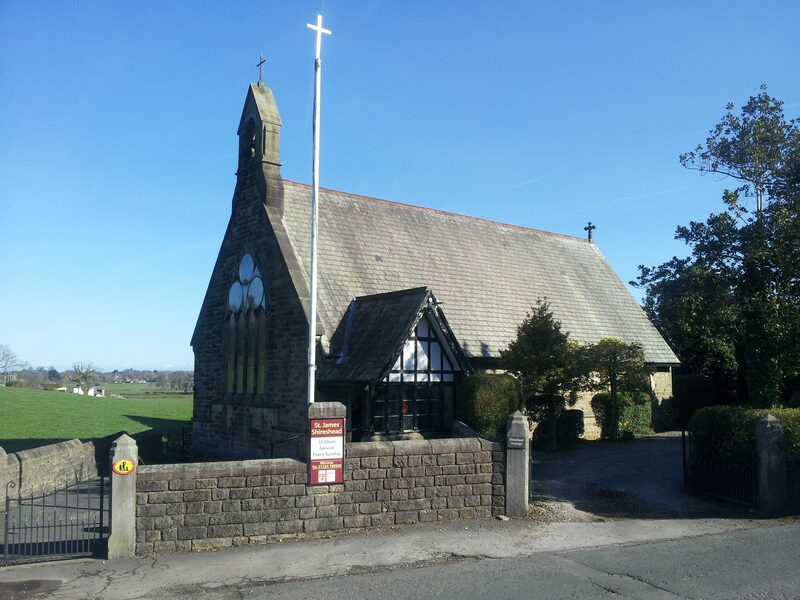 You don’t have to book in advance, or even be a regular churchgoer, just turn up this Saturday and join in the fun!